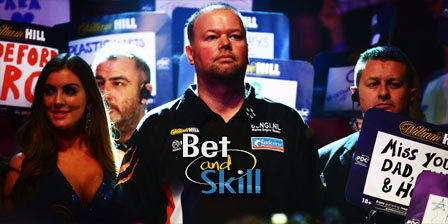 Raymond Van Barneveld returns to the Ally Pally oche tonight for his first-round match against debutant Richard North. A comfortable win for Barney? Don't miss our Van Barneveld vs North betting preview with the best predictions, betting tips, enhanced odds, live stream, bookie offers and no deposit free bets on tonight's matches! Raymond Van Barneveld is the only darter to have beaten Van Gerwen twice this season but hecomes into this game with two recent losses under his belt. The first game to Robert Cross at the Grand Slam, which was followed up with a loss to Ian White at the Players’ Championship last month. Barney has reached at least the semi-finals in four of the past five years, including the last three in a row. Set play defintely suits his style. Newcomer Richard North is currently ranked 68th in the world. He will be playing his first World Championship and could quite easily feel very nervous, even with a few appearances in front of the camera this season. Notably, he did reach the last 16 of the World Grand Prix before being knocked out by Australian Simon Whitlock 3-0. The Englishman is coming off a 3-6 loss to Adrian Lewis at the Players’ Championship after winning his qualifying match 6-1 in fine style. These two have yet to meet on the world stage. Van Barneveld is ranked 49 places higher in the world than Richard North and we don't expect any major upset in this match. "Raymond Van Barneveld vs Richard North predictions, betting tips, odds and free bets (PDC World Darts Championship - 19.12.2017)"